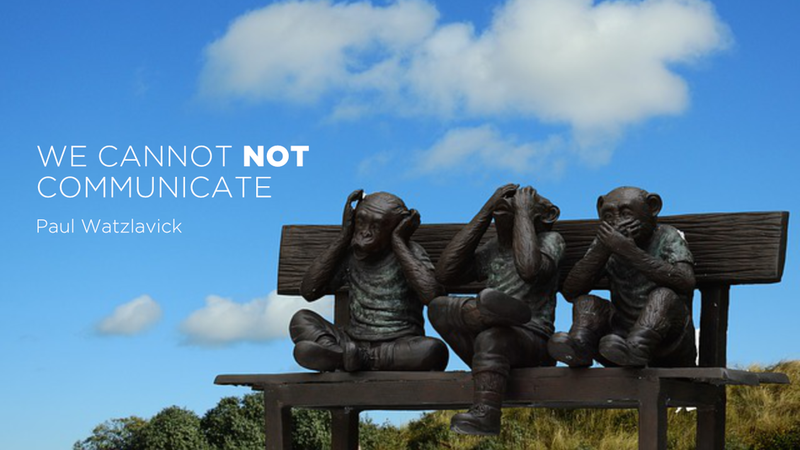 You’ll probably agree that one of the most famous of Watzlavick’s five axioms of non-verbal communication may be applied to modern communication on all levels; how we communicate today includes different channels loaded with information across very short time spans. However, one aspect of modern communication has quickly risen to dominance through popular communication channels of today, and that one aspect is the way we communicate visually. Technology has given us tremendous opportunities to develop better communication systems and we are witnessing a whole new level of progress in visual communications. You’ve probably noticed those memes where they compare ancient Egyptian hieroglyphs with modern emoji, right? We are communicating visually through emoji, gifs and images everyday to engage in conversations, to express our emotions, or just to shorten our replies. And admit it - it’s fun! Even when you’re not getting a reply from someone, that also sends you a message - they might be ignoring you. So, we cannot not communicate. Doing research for your business is essential not only for yourself but also for the values you will need to communicate to your design and/or marketing agency. Having some sort of a blueprint for your business will help you make decisions on what kind of visual identity you want to build and what your marketing strategy will look like in the future. It’s a great idea to make a 5 year plan - it will help you see the big picture, make goals and stick to them, and create certain guidelines to follow in your future endeavours. Doing research and making a plan will not only help you learn more about yourself and your business but will also make it easier for you to communicate your ideas and values t0 designers through a concise design brief. Once you have all the basic info, you’re ready to hire your creative professional or a team. You can hire locally or look for freelancers around the world. Important thing to keep in mind is the long-term aspect of your business. Consistency in your marketing and branding will bring you better results over time and hiring a professional you feel comfortable working with will help make the communication process smoother, more productive and, why not, more fun! So before you decide on hiring, it’s always a good idea to grab a cup of coffee with the potential agency or do a Skype intro chat with the freelancer. Some may prefer the good old 1-on-1 meeting, but when you’re working with international teams the most common way of communication is by email or Skype. Many prefer email (myself included) because it offers the most effective way to keep your conversations organized and/or archived for future reference. Skype is the best way for communicating on daily basis with lots of info and in this case I also prefer written communication because that helps me archive all the conversations in case I forget to write down important key points or miss a good idea/suggestion from a brainstorming session. Hiring an agency or an individual depends on what you’re looking for. Hiring an agency makes more sense for small to medium sized businesses looking for omni-channel branding and marketing and their team will offer more insight, especially for specific matters such as What is CASL Compliance? Hiring an individual will work best for solopreneurs and personal brands developing their business. Be sure to ask for their portfolio, especially for related work. The key to creating a successful project is a well written design brief, like this one. Even before starting a conversation with your design/marketing team you will probably be given a design brief to fill in. It serves as a starting point for conversation and brainstorming. Design brief is basically a questionnaire about your business and your ideas, so if you’ve made a business plan, you’re already one step ahead - you’ll be able to fill in all the info and help your creative team start working on your ideas. If you’re not sure how to visualize your ideas, leave it to your creative team to come up with concepts. The most important info is to have your business name and description ready along with the core values and target audience. If you’re struggling with visualizing your ideas, ask your creative team for help. This is where communication process really kicks in and this is what separates the best professional creative individuals and teams from the rest. Design process involves a lot of thinking, brainstorming, asking questions, sometimes guess work, lots of back-and-forth emails, Skype chats and phone calls. Depending on what kind of brand you’re building, sometimes it can take longer amounts of time before getting any visible results. Make sure you answer all the questions your creative team is asking. Sometimes these questions might even seem off the wall, and to be honest, I’ve asked quite a lot of those in some creative processes I’ve been involved in, especially the ones that include a lot of creative thinking. Making concepts is essential for the creative juices to start flowing. Rest assured your creative team is hard at work bringing the concepts to life. Sometimes it includes lots of sleepless nights, days spent searching for inspiration, testing and experimenting, and lots of coffee (and sometimes chocolate!) to meet the deadlines. Eventually, you’ll receive the first drafts from your team. Yay! For instance, if you’re creating a logo for your brand you’ll probably be choosing between 3-5 or even more concepts. Take your time and pick the ones you like the most. Ideally, try to focus on 1 or 2 concepts. Or if you’re building an entire brand, you’ll need to decide on your story, overall feel, maybe a color palette. If you’re getting a website done, you’ll be discussing the wireframes and the layout. Regardless of the type of work, after all the brainstorming and all the questions you’ve so kindly answered it’s time to narrow down the options. It’s always important to take your time and decide carefully. Maybe sleep over it. Take a second look. Do not hesitate to ask your creative team for explanations if you’re not clear about the solutions they’ve provided. Maybe ask a family member or a friend for help. The more insight you get, the better and more constructive feedback you can provide your team with! After reviewing the drafts you have to provide your creative individual or team with the feedback. This is one of the key elements in a creative process. It makes or breaks the whole process. Most designers will anxiously await your response. Regardless whether it’s positive or negative, it’s the most valuable info on the present state of things and how they will shape up in the revisions. So before giving feedback don’t hesitate to ask your team any questions to clarify the provided concepts. Also, make sure you answer all their questions. After you decide on your favorites let your team know what you want to try next. Write down what you like about the concepts. Write down what you DON’T like about the concepts. Ask about the details. Offer suggestions. Include all the info for revisions such as which colors you want to try, new fonts, maybe a different layout, new set-up - the trick is to explore and try all the options. Curiosity is 99% of creativity! I often get asked for a lot revisions but I don’t mind making them as long as they’re constructive in a way to help the client decide on the best solution for their business. After receiving the feedback, your creative team will start working on revisions, trying to incorporate your suggestions into the concepts you want to focus on and make all necessary adjustments. Dreaded by many a designer, revisions include another round of back-and-forth emails, Skype chats and phone calls in order to fine-tune design concepts or marketing campaign details. Revisions include a lot of meticulous work and require a lot of attention to detail. Sometimes it’s adjusting the color palette or kerning of the font, maybe adding minor elements or adjusting existing ones, fixing different errors and bugs etc. The fine-tuning boils down to quick tests and checks and may take some time before your new visual identity or marketing campaign is ready. It’s important not to rush things when finalizing the creative process because in this stage you want to make sure everything will work fine in the future. Sometimes finalization means handing over the final design files or providing results for a campaign (if it’s a one-time job), but from my experience there’s a good chance you’ll need some kind of work done from your creative individual or team in the future. So, the final stage in a creative process is not necessarily the end of communication. 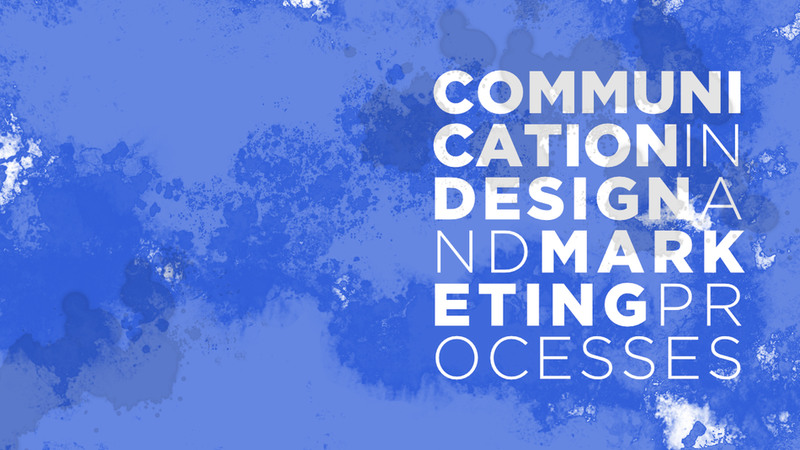 Actually, communication in design and marketing processes is always open, ongoing, ever changing, expanding. During the finalization process it’s all always good to ask your team on the final product - you’re the one deciding on the final outcome, but feedback from the team’s viewpoint can be very helpful, especially when it comes to details. Think long-term. Establishing a solid base and guidelines for your visual identity will make future graphic design work more consistent and increase brand visibility and recognizability in the future. Making a good story for your marketing campaign will bring more success and turn your customers into followers. Building an attention grabbing web layout will bring more traffic to your website. All of that would not be possible without quality two-way communication from start to finish and even after completion of the project.. It boils down to giving the right answers to the right questions. Excellent site and excellent blog posts. Very informative, very inspiring.